If you have problems sleeping whether this is short or long-term. Herbs that help you sleep can be a viable alternative to prescription drugs. When it comes to insomnia, over 10 million sleeping pills are prescribed in the UK each year. Even with the newer classes of drugs designed to replace highly addictive benzodiazepines, such as Valium, there are still side effects and problems of dependency with long-term use. In addition, the way these drugs work is to suppress the central nervous system so that rather than achieving restorative natural sleep, the body and brain are temporarily rendered unconscious. As a result, many people are turning to natural remedies, some of which have been in use for hundreds of years, to find a cure for insomnia. Herbal remedies have the benefit of being tried and tested over time and of being gentler on the system with fewer, if any, side effects. In many cases, the herbs work in a cumulative way, restoring the body’s natural hormone levels which can be depleted through stress and exposure to synthetic chemicals in food and the environment. Here’s our guide to some of the most effective natural herbs to help you sleep. Ashwagandha (Withania somnifera) Ashwagndha or Indian Ginseng has been used in Ayurvedic medicine for treatment of stress, anxiety and insomnia for many years. Studies in recent years have shown it contains antioxidant properties that lower cortisol levels. It is available in powdered capsule form and is considered safe for ingestion but may cause stomach upsets with long-term use. Found growing in California and Mexico this golden coloured flower was traditionally smoked by Native Americans as a sedative. Today it is more often used as a mild opiate in tincture form to induce sleep as it affects the same parts of the brain that benzodiazepines do but is considered safe enough to give to children due to the lack of side effects. These daisy-like flowers are a popular folk remedy for a number of ailments going back many years including hemorrhoids and insomnia. Studies have also shown that Chamomile has strong antibiotic properties and may reduce generalised anxiety. Usually drunk as a tea, it has become a staple of supermarket shelves in recent years and provides a relaxing caffeine free bedtime drink for many. These flowers from the hop plant have been traditionally used to give beer its distinctive bitter taste, however it may be more than just the alcohol that causes drowsiness. Dried hops have been traditionally used in folk medicine to fill a pillow to induce sleep and can also be made into a tincture either at home or bought from a health shop. Lavender (Lavandula) Part of the Mint family, this flower is a stalwart of the English countryside and is found across Europe and north Africa. Known for its relaxing fragrance it is used primarily in cosmetics although studies have shown that it has a positive effect on reducing anxiety and promoting restful sleep when ingested. Using dried lavender pillows, a spray or an oil burner seems to have a positive effect inducing sleep. Passion Flower (Passiflora incarnata) The Passion Flower’s analgesic and sedative properties were recognised and adopted by European settlers of North America after seeing their use in Native American medicine. Clinical trials have suggested it may be an effective treatment for anxiety disorders. It is available in tincture form and is recommended for insomnia caused by hormonal changes during menopause. Valerian (Valeriana officinalis) With its documented use in medicine going back to Hippocrates, Valerian has in recent years become known as ‘Nature’s Valium’ due to its sedating effects. It is available as a tincture and also as a tea or as an active ingredient in branded teas that contain a number of herbs that are thought to induce sleep. It can cause vivid dreams for some people and so should be used in small doses to begin with. Wild Lettuce (Lactuca virosa) Related to the common lettuce, wild lettuce has been known for its sedative properties since the 19th century when it was used as a substitute for opium by physicians. It grows wild in the south of England and parts of southern Europe and is sometimes added to salads but more often is picked, dried and used to make tea. These are just some herbs to help sleep better naturally. While herbs can help restore the body’s sleep cycle there are a few other natural supplements that are not strictly herbs but can help. Melatonin is a hormone that regulates the circadian rhythm or sleep cycle. It can be purchased over the counter as a supplement in the US but not in the UK. However, Montmorency Cherries, which are available from many health food stores in powder capsule or liquid form, contain naturally high levels of melatonin which can help restore your body’s levels with regular use. It is also worth increasing your vitamin and mineral intake as deficiencies in Magnesium, Vitamin B6 and B12 can contribute to insomnia. Finally, good sleep hygiene is essential; a warm bath, relaxation exercises and no distractions in the bedroom will greatly help you slip into a deep and restful sleep. Also a cup of herbal tea from the above herbs that help you sleep can really help you have a good nights sleep. 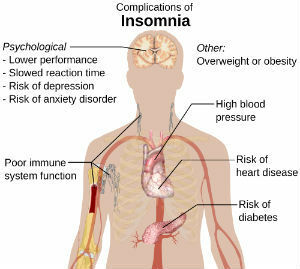 NB: It is important to note that if insomnia suddenly develops without any attributable cause you should visit a medical doctor to rule out any underlying condition which may need treatment. Wow! I haven’t heard of most of these things. 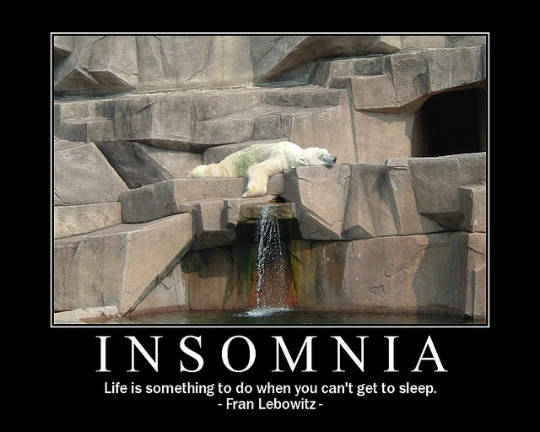 I’ll have to suggest a few of these to a friend of mine who suffers from insomnia. Thanks for sharing!